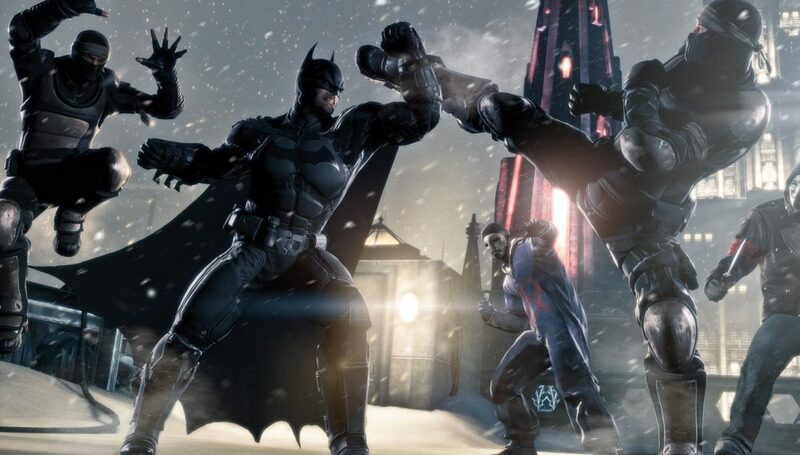 Warner Bros. has posted the E3 gameplay trailer for the upcoming prequel, Batman: Arkham Origins, and it delivers the hits… literally. Black Mask puts a bounty on Batman’s head, which brings the combined might of Bane, Deadshot, Deathstroke, and other villains to Gotham City. Unlike the CGI Batman: Arkham Origins teaser trailer that was released a few weeks ago, the new gameplay reveal trailer is made up entirely of in-game footage. We get out first look at Bane, and also get to hear Roger Craig Smith as Batman and Troy Baker as Joker for the first time. Taking place before the rise of Gotham City’s most dangerous villains and assassins, the game showcases a young, raw, unrefined Batman as he faces a defining moment in his early career as a crime fighter that sets his path to becoming the Dark Knight. As the story unfolds, witness identities being formed and key relationships being forged.